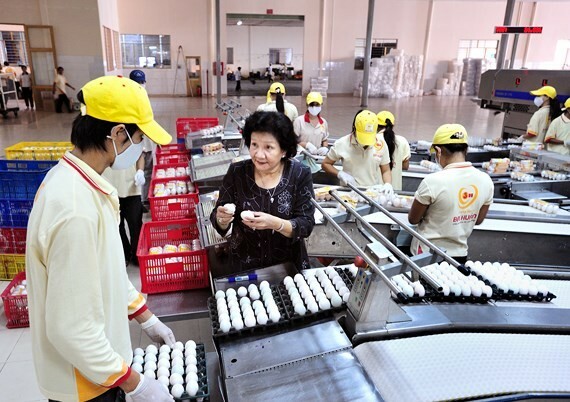 VinaCapital Vietnam Opportunity Fund (VOF), the flagship fund of VinaCapital, yesterday announced that it has invested $32.5 million in Ba Huan JSC, the country’s leading producer of eggs and poultry meat. With an investment of 32.5 million, it becomes a significant minority stake in the company. VOF may also invest a moderate amount of additional capital during the next twelve months as the Company delivers on mutually agreed milestones. A representative from VinaCapital said that one of its strategies was the long-term investment in food companies which have adopted hi-tech for domestic consumption. Ba Huan was founded in 2001, growing from a family business to become the leading supplier of pasteurized poultry eggs in the Vietnamese market with two fully enclosed industrial poultry farms, including a layer farm with over 1.5 million chickens for commercial egg production, and a broiler farm with over 400,000 chickens for meat production. Ba Huan’s products are distributed via a comprehensive distribution network of more than 2,000 agents and points of sales throughout Vietnam.